BROOKLYN, NY – The National Women’s Hockey League today announced a bonus payment structure for its players based on attendance. For each game, players will receive 100 percent of ticket revenue after 500 tickets are sold. There will be a 50/50 split between the home and road teams participating in the game. The bonus is for every regular season game at every venue, and went into effect on Dec. 1. As an example, when the Boston Pride hosted the Connecticut Whale on Dec. 3 and drew a capacity crowd of 750, the players from both teams shared all of the revenue from the 250 tickets sold over the 500-seat mark. The attendance-related payout is a bonus beyond each player’s salary. NWHL players also receive 15 percent from sales of their respective jerseys and shirseys. 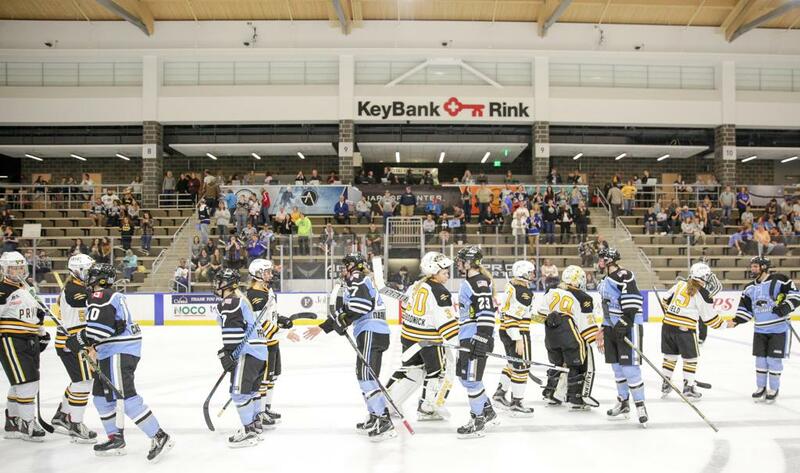 The NWHL and the player representatives from the league’s four franchises in Boston, Buffalo, Connecticut and New York created the attendance initiative together. “I am excited that the league is taking strides forward to remain faithful to the players,” said Anya Battaglino, a defender and player representative with the Connecticut Whale. “This is truly rewarding the product on the ice, and it is so important that the league honors that. To all of our fans near and far, if you want to support the league, buy a ticket, come to a game, and fall in love with our dreams." You can support the NWHL and its players by purchasing tickets at nwhl.zone/tickets.